To celebrate the launch of the latest bridal designs by Tanya Anic you are invited to the bridal event of the season. Your chance to view the latest bridal gown collection and meet the designer who will turn your dream-day imaginings into reality. Luminous Silk, shimmering fabric, luxe- lace and star-studded tulle are paired with the most exquisite designs that are both inspired by the stars of the night sky and a tribute to the glamour-Hollywood era. The heavenly colour palette in the collection is prominent from silver-grey in Zefria; warm white in Celestina; aqua-marine blue in Elektra, shimmering silver in Itzel and a spectrum of colours captured in the intricate beads of Aaida. 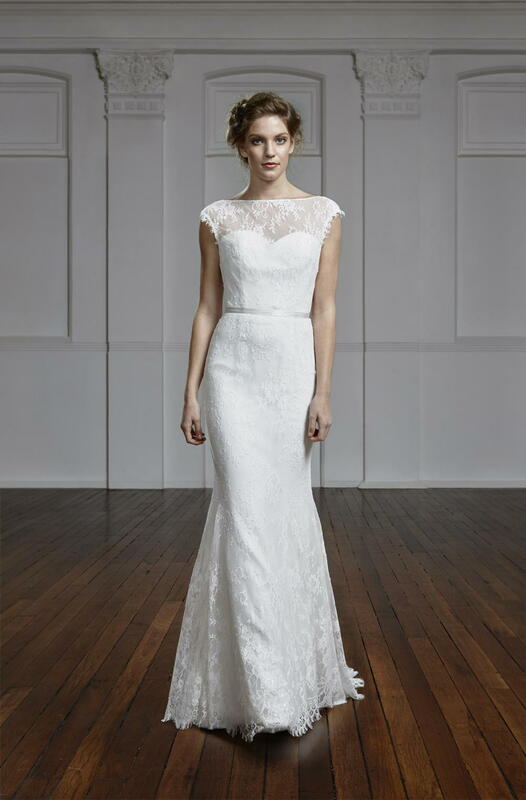 Candide bridal design enhances the long neck and shoulder features with a lace-illusion halter neckline and classic bodice paired with a slim-line skirt for sophisticated elegance. Esta bridal design shines with an opulent star-studded gossamer fabric overlay and soft slip for relaxed yet stunning- glamour look. Alina bridal design sparkles with illusion lace featuring studs of light and pretty intricate bows in a choice of sleeveless or long sleeve. Match with slimline skirt opening above the knee for grace and movement or choose a flowing fabric skirt for a ballroom style. Come along with your best friend and share some bubbles to celebrate the STARS bridal collection with Tanya Anic. As part of the STARS bridal launch event Tanya Anic Bridal will be offering a special price for all orders placed on the day. You can also mix and match your favourite fabric lace, beads and shine for your ultimate unique look. Turnaround time is prompt with Tanya Anic bridal. Place your deposit on the STARS bridal design launch day and for ONE DAY ONLY-receive 10% from your bridal gown. Contact Tanya Anic for more details about this special event. There is not one soul who looks to the stars in the night sky and remains unchanged. Through the years Astronomy and the gazing at galaxies have captured the wonderment of endless possibilities in many minds and hearts. The star is something of a phenomenon, a light that echoes through time to reflect the story of existence, what it was, what it is and what it continues to be. It is when we consider the star association with appreciation of an everlasting beauty we realise the very existence of this star has taken years of perfection. Beyond the heavenly gaze we can imagine the truth and majesty in this single light, a constant reminder it took a multitude of variables to be in place at the right time. So often associated to dreams of ethereal, divine occasions we believe the stars are perfectly aligned at the time we connect with the forever mate of our soul and it is unimaginable to think of life before them or after them. The moment we capture and celebrate this union is the inspiration to the latest bridal collection by Designer Tanya Anic. An exclusive range featuring opulence and movement with flowing silks, glistening beads and sheer imported lace, each gown reminiscent of old Hollywood glamour yet contemporary in choice combinations. Signature embellishments and easy interchangeable designs can be configured to be as individual as you are. Choose from sheer lace, intricate faux- leather bows; crystal, and pearl beading for bodice top and soft floating or fitted skirts. The beauty of your Stars collection bridal gown by Tanya Anic Bridal is the long and everlasting life of each piece created. Your wedding day gown, has many facets to its long -life wear as optional statement pieces in every mood of your day and evening while being a truly divine one piece statement bridal gown. It is written in the Stars, a curation of the most exquisite beads, fabrics and lace to celebrate all that is you. Choose from Zefira, Esta, Marguretta, Aaida, Itzel, Celestina, Candide, Oriana, Alina, Ayona and Elektra. Contact Tanya Anic Bridal now for your preview of the new Stars Bridal Gown collection by Designer Tanya Anic or phone 0418 495 463 to book your appointment. Stars Bridal Collection launch day is coming, visit us again soon for details on this special event. We have moved! 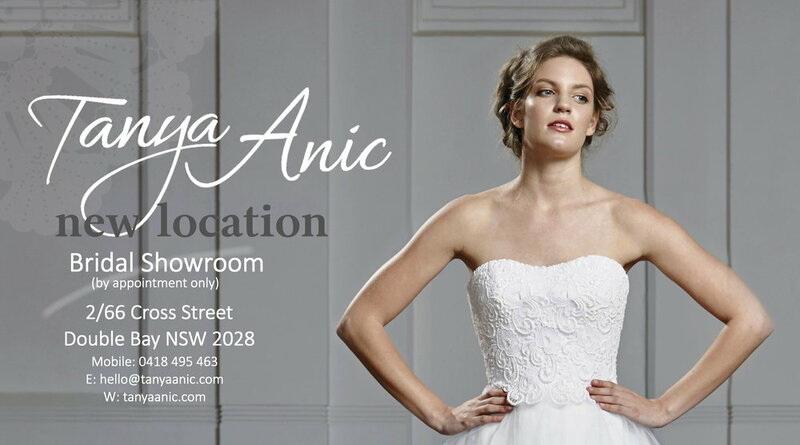 Come and see the latest Tanya Anic bridal collections at our new address in the heart of Double Bay. Designer Tanya Anic creates sophisticated bridal gowns reminiscent of classic, ballroom, romantic, bohemian and vintage styles from her studio in beautiful Double Bay, Sydney, Australia. Fabulously jeweled and sequined lengths of organza, layers of soft tulle, intricate laces, fluid satins and delicate silks inspire each bridal creation. One of the most popular shopping experiences in Australia, Double Bay is famous for luxury fashion and prestigious brands. The perfect place to start your bridal experience. Be inspired by the latest Tanya Anic bridal designs available for you to view by appointment at the new Double Bay, Bridal studio. Phone 0418495 463 to book your personal consultation with Designer Tanya Anic. Finding the right dress for your wedding day is often about the right feeling, at the right time. Looking for a bridal designer who you can trust with your dream day thoughts is by far the best way to achieve the total perfect look. This means instead of looking for inspiration you describe what inspires you. Yes, it is about good design, structure and quality fabrics however of great importance, it needs to express the best version of you. Considering everything about you including your style, personality and how you want to look and feel. As this day is all about relationships, be certain to make your first day of forever, wonderful by looking for good trust relationships with your service professionals. Everyone from the bridal gown designer, photographer, florist and makeup artist will be more likely to look out to add the extra detail for you when you know and trust each other. This will turn good to fabulous every time! 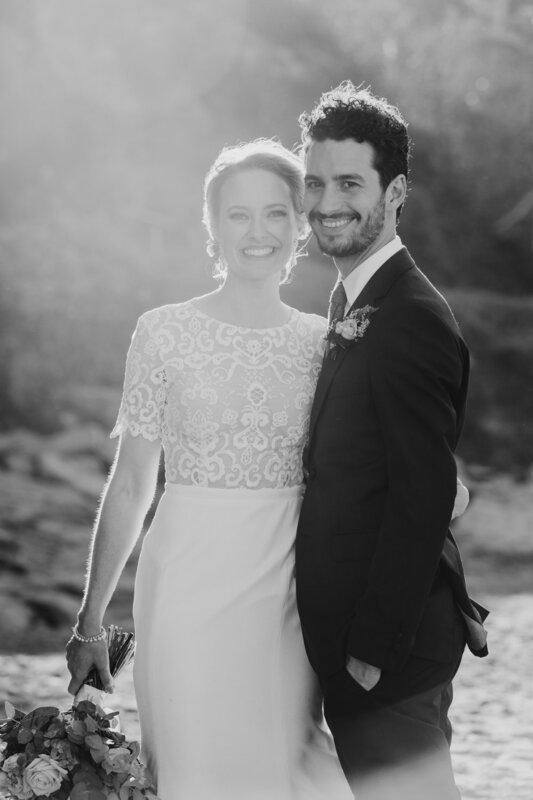 Bride, Paige shares her experience on the search and find of designer Tanya Anic trusting her to create her much loved, bridal gown. "Finding the dress was a really stressful and challenging process…I went to SO many boutiques in Sydney and just didn’t feel right about many dresses at all. When I approached Tanya for the dress, I already had a really clear idea of what I wanted. I hadn’t been able to find it anywhere, so I described it all to her through emails and with photos taken from social media. She just got it. "I’d met Tanya on my very first day of shopping, and she had shown me a two-piece, which I’d loved. I knew it wasn’t exactly what I wanted, but I also knew that she had the right vibe (personality-wise and design-wise) for what I wanted." I just trusted her and had a good feeling, and in all my searching after that day, my mind kept coming back to that beautiful lace top that I’d tried on with her. I contacted her asking if we could use that lace top as a starting point, but with some tweaks and changes. And if she would make the dress for me. SO lucky that she said yes!" Contact Tanya Anic now to discuss your ideas and what inspires you for that perfect wedding dress. Get the total look for you and your wedding day at a one on one appointment with Sydney bridal designer Tanya Anic on Saturday February 25, 2017. Choose from exquisite luxe- lace and chic, contemporary gowns, designed with flattering structure and fashion features reminiscent of the most memorable designer classics. Fashions by Farina with Tanya Anic Bridal invite you to this one day special event to discover your best bridal gown style and shape to create the perfect statement silhouette. Designed to feel beautiful and comfortable, the Delphina bridal gown by Tanya Anic, features soft fabric, a structured sweetheart bodice, illusion neckline, cinched waist and overlay of intricate lace for ultra-feminine-chic. As part of Bridal Designer Day on Saturday, February 25, 2017, Tanya Anic and Fashions by Farina offer you an event price for your Tanya Anic bridal gown when you place your order. Floor 3 -Shop 1/428 George Street, Sydney, NSW, 2000. Tanya welcomes the opportunity to bring the best of design, fabric and feel to create the ultimate wedding dress to express the best version of you on your day. Often finding the type of venue and the location for your wedding day matches the same criteria of knowing who is the right person for you. You can feel it, see it and imagine the wonderful and endless possibilities. It is easy to picture you and your husband celebrating your day at Hopewood House and at the same time taking your place in the honourable guest list that have walked the corridors and toasted great and significant events through time. 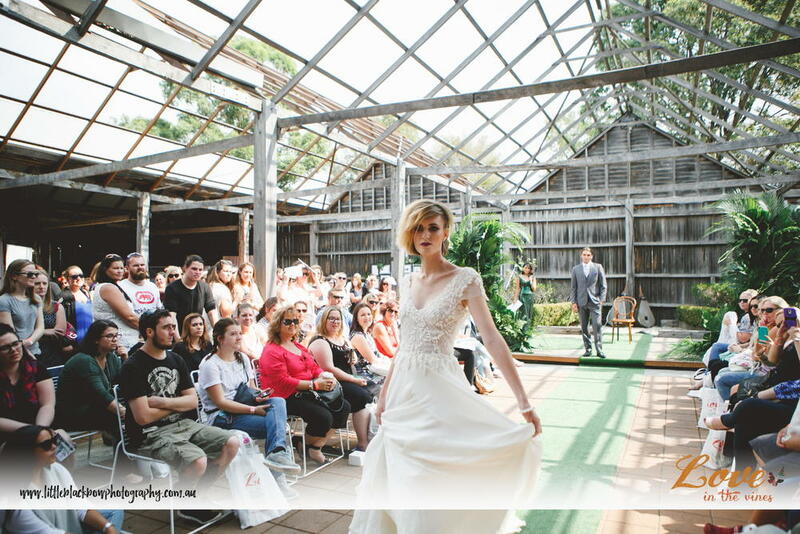 One of the most fitting bridal gown designs to take you to the grand dining and the gardens at Hopewood House is Willow the wedding dress design from the Tanya Anic Bridal collection. 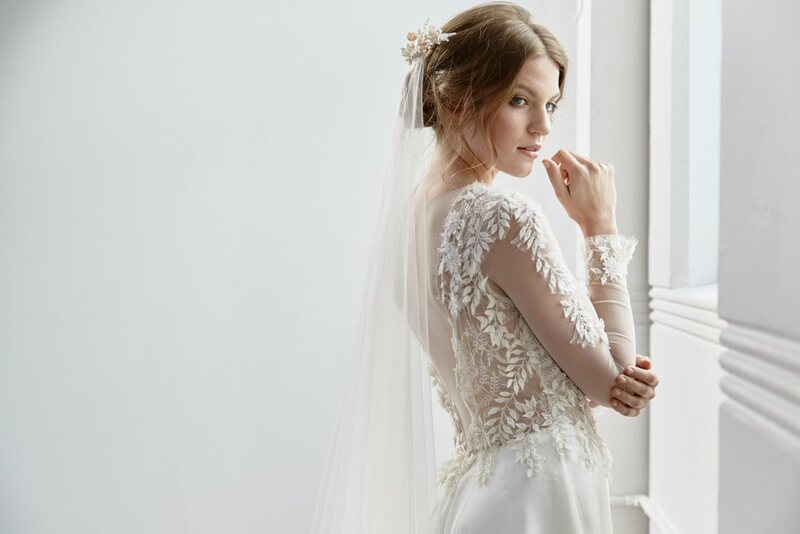 Willow feels and looks beautiful and is a sensational statement with layers of flowing silk, featuring a bodice of imported lace and delicate leaf applique with tiny shell beads to capture the light. Simply awe-inspiring! Hopewood House is one of Australia’s 19th century mansions nestled in the Bowral country landscape and boasting the original wide bay windows, high ceilings and long hallways. Set in pleasure gardens, this location easily translates into a certain ambience and sense of occasion. Lili Kad photography selected this venue to capture the essence of the fairy tale wedding. To feel and look the best version of you on your day, contact Tanya Anic for a one on one style consultation and join the many brides who share wonderful stories of their dream day turning into reality. Willow Bridal Gown is available long sleeve, short sleeve and sleeveless. One of the best places to start the search for the most beautiful bridal gown for your wedding day is to meet with someone who knows bridal design. Bridal designer Tanya Anic will be visiting Marry Me Bridal in Mosman, Sydney from 10am Saturday January 28, 2017. Choose from the new designs created with flattering luxe-fabrics and exquisite laces or from the classic Sydney Bride Design collection to reflect the very best of all that is you. Wild Daisy bridal gown will take you from the beach to the ballroom. layered tulle skirt to complete the look. Wild Daisy bridal design by Tanya Anic is one of the classic bridal gowns and is a truly stunning design, unique to Tanya Anic Bridal and now available at Marry Me Bridal. As part of Designer Day, on the day when you place your order, Tanya Anic Bridal and Marry Me Bridal offer you an event price for your Tanya Anic bridal gown. Places are limited so phone or email now, for your one on one, Designer stylist consultation with Bridal Designer Tanya Anic. More than a song, the memory of the Melody bridal gown will bring the universal language of love to life with every movement. This design has the structure and flattering form of the most elegant gowns to walk the theatres and ballrooms of grandeur yet has the simple, fresh interpretation of slim-lined grace. French embroidered lace creates light and shade with an illusion bateau neckline; a low V back; cinched waist and flare from the knee to enhance the total look and feel of ultimate, refined luxury. 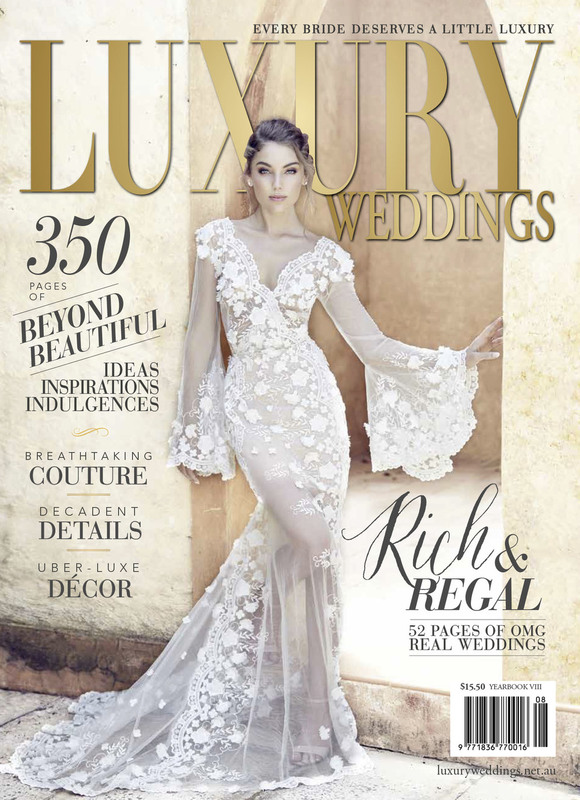 Melody bridal gown by Tanya Anic features in the latest issue of Luxury Weddings magazine. You will have your husband and guests talking for months maybe years about how elegant and beautiful you looked on your wedding day. Naturally, it is more than the dress, it is the way you wear it! Tanya Anic bridal specialises in personal service to bring the best in design, fabric, lace and embellishments to the unique expression of you. See more Tanya Anic bridal gowns and read more about the latest in rich and regal bridal fashion, designs and details in Luxury Weddings magazine. Contact Tanya Anic to experience the effortless expression of beauty, in the ultimate dress. Be inspired by the real brides who have loved their Tanya Anic bridal gown. Somewhere between a rock, Salt River and Paradise Valley, the rugged desert terrain of Arizona stirs something in the soul. This is the destination where stylist Solandra Helg found the remote landscape an inspiration to capture the extreme contrast of love from towering strength to soft lace, bridal beauty. It may well be the timeless splendour found on the long road to beyond that sets the scene for your great destination wedding. An idyllic adventure location is a great way to exchange your vows and explore something new together. Perfect for most destinations, brides love, the Lyric wedding gown for the ultimate chic-bohemian style, featuring a strapless bodice, cinched waist and fitted skirt of embroidered lace flaring with soft tulle above the knee for movement and graceful nobility. This easy to wear design can take you from the daylight ceremony to rocky picture-perfect sites and into a long night of celebration. Art meets nature in the outback adventure, where the Arizona bride, wears vintage-inspired Willow bridal gown by Tanya Anic for the most memorable wind-swept feminine statement. Featuring subtle illusion lace bodice, intricate leaf, shine-beaded embellishment and soft skirt of cascading silk. To discover the most amazing dress for your destination wedding contact Tanya Anic to discuss design, fabrics, lace and embellishments to express the best of you wherever your day may lead you. 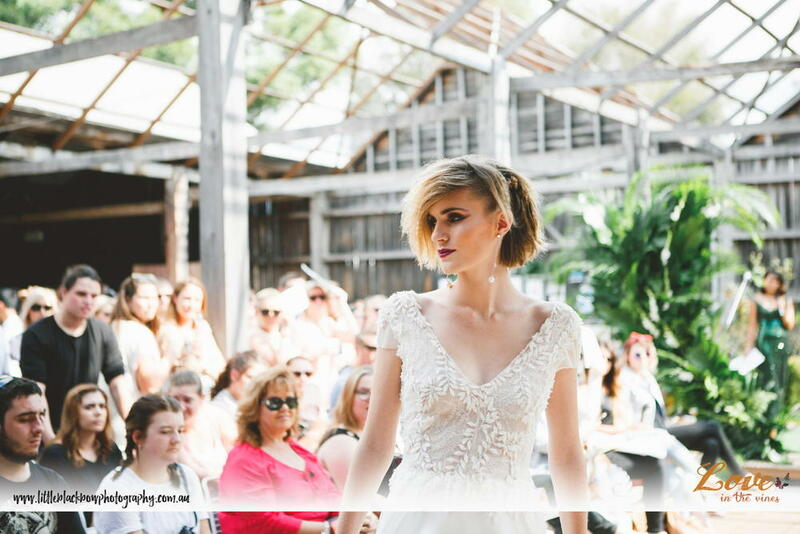 Set in the heart of the Hunter Valley region endless rows of vines create a welcoming landscape to the bridal event of the season. 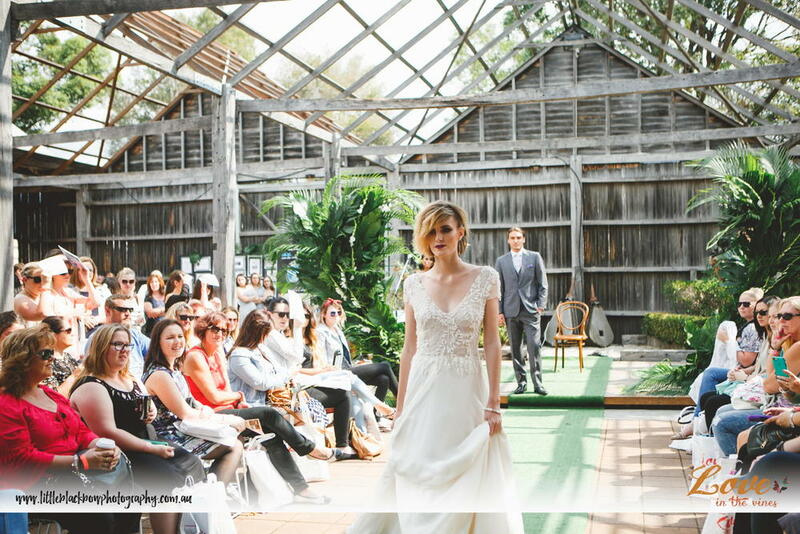 “Love in the Vines” hosted by Hunter Valley Wedding Planner at the Lindeman’s Estate, is the showcase for all the good and great in bridal inspiration. Home to an abundant selection of Australia's finest wine and produce the invitation is open to brides, couples, friends and family to experience the Hunter region’s best of services to plan your local or ultimate destination wedding. From the vintage stone buildings of tradition to the contrast of the rugged landscape of a family property to the sea and sand of the coast, "Love in the Vines" draws from the natural surroundings to plan your day. Creating the perfect mix of alluring, bohemian, luxury, Willow bridal gown by Tanya Anic featured on the fashion runway. This design fitting for a country setting, presents a beautiful bodice of illusion lace, leaf and bead embellishment, cap sleeve, low back and soft flowing silk skirt. Keeping in the theme of the day, Melody bridal gown by Tanya Anic boasts collectively the most loved elements in traditional design coupled with modern luxe-lace for beauty and movement. This classic bodice design with sweetheart, lace-illusion neckline and long-line, semi-train features a low-back and off the shoulder strap to complement shape and form for a feminine, silhouette statement. 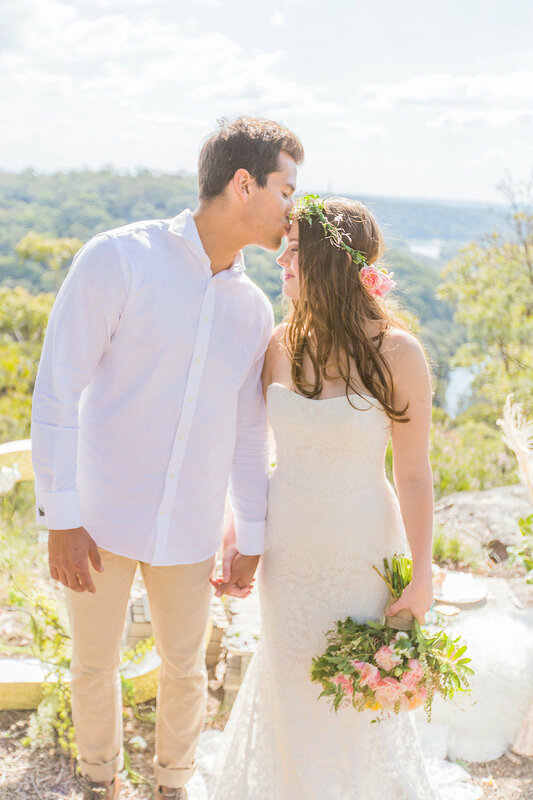 To celebrate the best of you in the ultimate wedding dress contact your Hunter Valley region retailer Simple Elegance Boutique or Tanya Anic Bridal for an appointment. Are you a bride to be and now looking for the perfect dress? 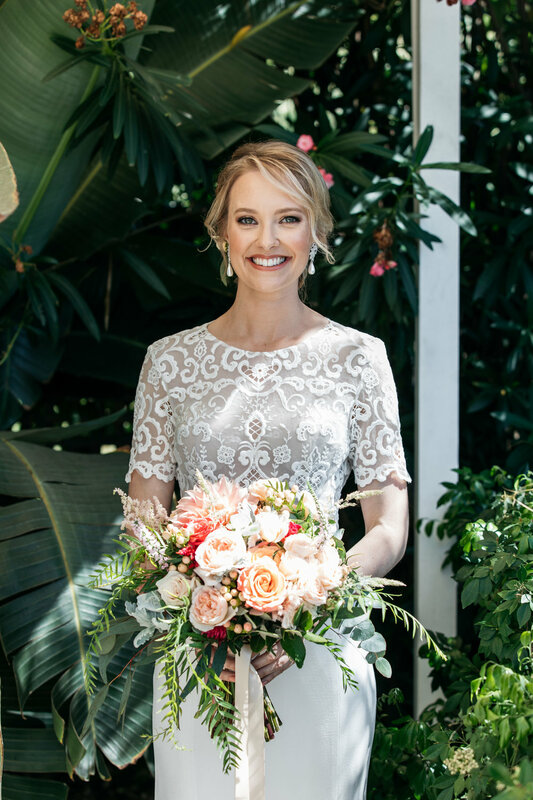 Designer Day at Marry Me Bridal, Mosman is your chance to meet bridal designer, Tanya Anic to discuss how your wedding dress vision can become a reality. To secure your place for the Designer Day event , Saturday, May 14, 2016, phone or email Marry Me Bridal. Brides love Tanya Anic bridal gown designs because they look and feel amazing. Tanya believes each step of the bridal gown process should be an enjoyable experience to share with your friends and family. Born from impeccable structure and featuring luxurious, soft flowing silks, layers of tulle, imported laces and exquisite beading, Tanya Anic bridal gowns are reminiscent of the most memorable designs seen on the red carpet from quaint chapels to grand ball rooms. Tanya welcomes the opportunity to meet with you to discuss what is important to you and to bring the best of design, feel and total look to express the best version of you on your day. Designed to be beautiful and feel luxurious and comfortable, each gown is created to enjoy from the aisle to the dance floor. And with collections to complement any setting from the formal to country and beachside weddings. Select from couture or ready to wear collections, including ballroom, vintage-inspired, bohemian-style, Sydney and lace designs. As part of 'Designer Day', Tanya Anic and Marry Me Bridal will offer you an event price for one day only, when you order and place a deposit for your Tanya Anic bridal gown. Book now for your place at 'Designer Day' at Marry Me Bridal with Tanya Anic. Azure blue reminds me of the island of Santorini with endless summer sun and fabulous depths of rich blue, gem-like shades, reflected in the sea and surroundings. 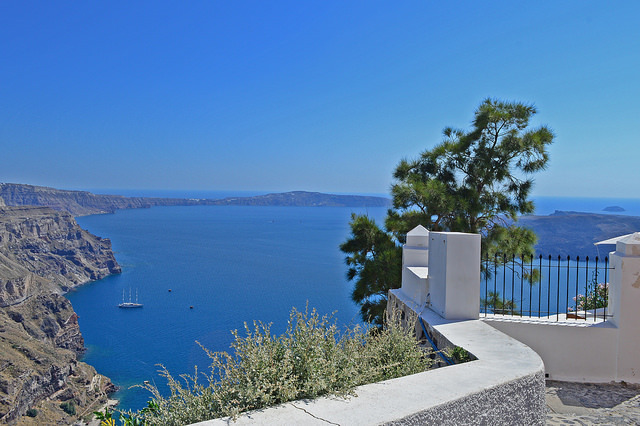 A popular destination for the bride and groom, Santorini has etched a place in the hearts and minds of many newly-weds, and for many reasons. The iconic imagery of white-washed walls against a sunlit sky with brilliant blue domes, archways and winding stairs is the type of landscape that beckons romance, peace and soulful serenity. What is it about the many facets of blue that so inspires? It seems there is a collective universal language associated to the hues of blue through time. Described in scripture as part of the finest adornments for priests and kings an indigo blue, known as tekhelet was produced from shellfish to dye clothing. Worn by royalty and associated to loyalty, authority and faithfulness, the replication of the colour blue has an interesting history. According to Scientist Marc Walton, Blue was the first man-made pigment. Derived from ground gemstone lapis lazuli it was used in eye make-up in ancient Egypt and is seen in many world renown paintings and artefacts. Author Ravi Mangla describes, how the ultramarine pigment “was more precious than gold” causing Renaissance artists, including Michelangelo to sought innovative ways of application to create their great works. Walton explains, it’s rarity and cost was the driving force for innovation in replicating the brilliant blue with synthetics. This is possibly why we should consider the foundation and meanings of the multiple shades of blue and the way it is woven into our lives through nature, art, fashion and architecture. According to Mangla, the ultimate blue or ultramarine translates to, “beyond the sea”. A description in itself that suggests the discovery of new hope in unchartered places. Today many enriched blue pigments including ultramarine, cobalt, and cerulean are produced with various methods using plants, minerals and synthetics. Photographer Carla Coulson, captures an ethereal vision of the timeless hue in this custom-designed, silk organza gown by Tanya Anic. The classic fitted bodice with soft, flowing layers reflects the many meanings of blue beyond light and depth for the ultimate, lasting impression. To find out how you can wear your exclusive, custom-designed gown for your next event contact Tanya Anic for an appointment. The boho bridal gown speaks a language, collective of styling beauty born from the most feminine European designs in Fashion history. It is the ultimate message of romance and splendour woven into layers of intricate, luminous lace, soft fabric and subtle, statement embellishments, especially selected to celebrate you. The Tanya Anic Bohemian Bridal Collection is for the bride who wants to express something new. Boasting an eclectic mix of today and tradition that is unforgettable, as seen in the Willow, Lyric and Delphina designs featured by Modern Wedding. To find the difference you are looking for contact Tanya Anic for an appointment. 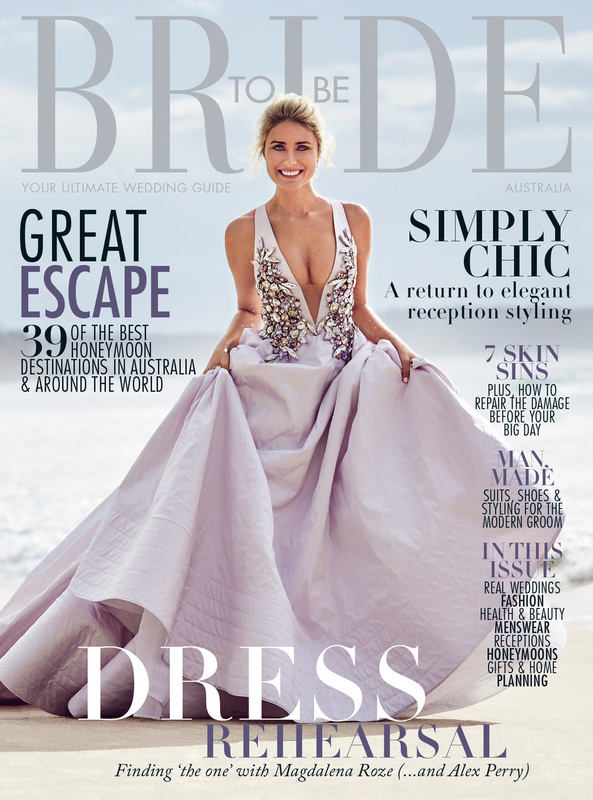 Oxford Bridal Boutique in Perth is celebrating the opening of their new premises with a desirable selection of bridal gowns from International and Australian Fashion Designers including new designs from the Tanya Anic collection. From the studio in Double Bay, Sydney, the Tanya Anic bridal gown label is created with local and imported fabrics, luxurious lace and detailed embellishments. Reminiscent of bridal fashion from a bygone era, Tanya Anic, vintage-inspired gowns reflect the best from ballroom to beachside and the elaborate with art deco- style beading or classic elegance in sheer lace. Each gown is designed with a flawless structure to enhance every attribute of the natural form to create the perfect silhouette. While the lace overlay features intricate subtle designs of floral, leaves and sunburst patterns, glistening crystal, pearl-like beads or silk-satin trim to reflect light for the look and feel of distinction. Experience the look and feel of vintage-inspired elegance on your wedding day from the latest Tanya Anic bridal gown collection. Selected designs available from Oxford Bridal, Perth, Western Australia, include Daisy, Filomena and Summer. All the best of the season is captured in the Summer-inspired, bridal gown design with flamboyant floral-patterned lace, floating over soft strap bodice and skirt, detailed button back and symmetrical scoop neck-line for perfect fitting. If you are a bride to be, planning the perfect Perth wedding contact Oxford Bridal Boutique for an appointment to see your dream day vision come to life in a Tanya Anic bridal gown. An endless ocean horizon and perfect skies created the breathtaking settings for one perfect summer day in Newcastle for bride Libby and husband Scott. 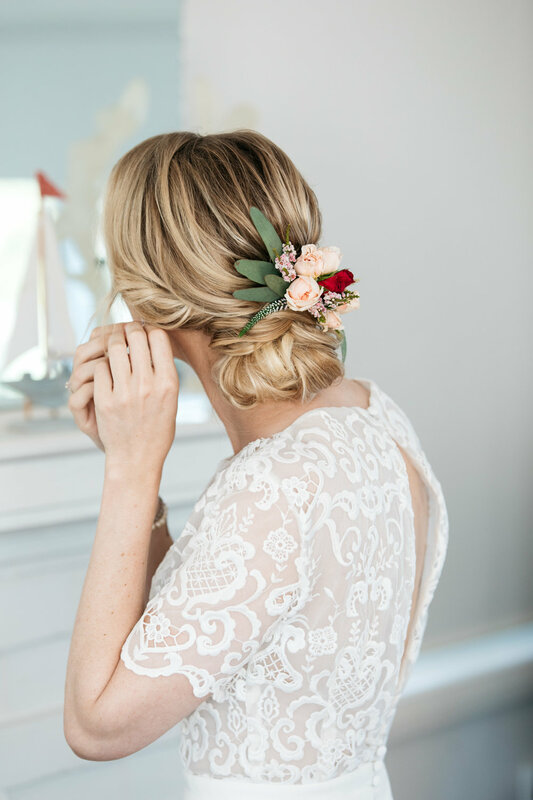 A mix of organic, natural beauty bought a fresh twist to the vintage-inspired wedding day. Featuring pretty wild flowers with classic, ornate, modern and relaxed elements combined to perfection. Bride to Be Magazine features Libby and Scott's wedding day. It was a case of love at first sight when discovering the laces to feature in the latest Tanya Anic bridal gown collection. Dressing royals, clergy, actors and aristocrats alike, lace has held a prominent place in the fashion wardrobe of great men and women through the centuries. The timeless tradition of lace-work itself dates back more than 500 years, and now with a fresh interpretation, the latest Tanya Anic designs draw on the most chic, glamourous and regal patterns of the times to create bridal gowns of distinction. Naturally we had to capture images of this wearable art and with gratitude to a dedicated team we have a glimpse of how these fine laces may add an exclusive attribute to your dream dress. Credit goes to photographer Grant Sparkes-Carroll; Makeup artist Liv Lundelius and floral accessories by Purdy in Bloom. Along with Chadwick model Bronte and a small team of fashionistas we celebrated the day in perfect light and luxury surroundings. If you are planning your wedding day and looking for a gown to look and feel amazing, please contact me to experience the elegance of lace in vintage- inspired creations from the Tanya Anic bridal gown collection. Luce Del Sole, the name, translates into “the light of the sun come softly and floods my soul”, is a fitting expression of love for the artisan, romantic bride. Endless sun-filled days in Tuscany, intricate needlework, street art and vibrant flowers, all play a part in the inspiration for fashioning the look and feel of this gown. Featured in the latest issue of Cosmo Bride, Luce Del Sole is a vintage-inspired Tanya Anic design. This bridal gown comes in two variations with a choice of lace over fitted bodice, illusion neckline and short sleeve or V neck slip, soft, slim-line skirt and draped lace for the bohemian look. If you would like to experience the Italian feminine style of the Luce Del Sole gown or view the bridal gowns in my latest collection, you are welcome to contact me to arrange an appointment. Calling all brides in search for the perfect bridal gown, this is your chance to get inspiration from the latest Tanya Anic bridal collection. If you live in or around the Hunter region, I would love to meet with you to discuss your style options for your wedding day. I will be at Simple Elegance boutique, Newcastle on Saturday, October 17, for one day only. We can select the best design to suit you from a range of sophisticated bridal gowns reminiscent of classical, ballroom, romantic, bohemian and vintage styles. 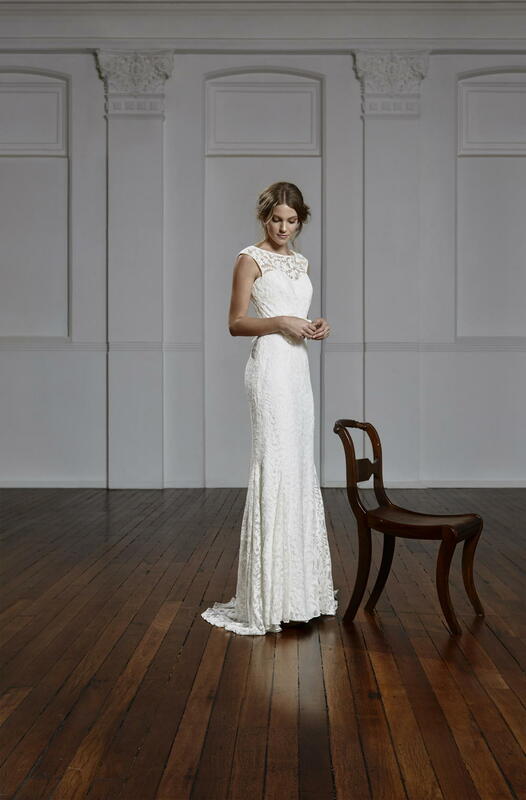 Tanya Anic bridal gown designs are crafted from our Sydney showroom in Double Bay with imported and local fabrics, lace, crystal and bead embellishments. 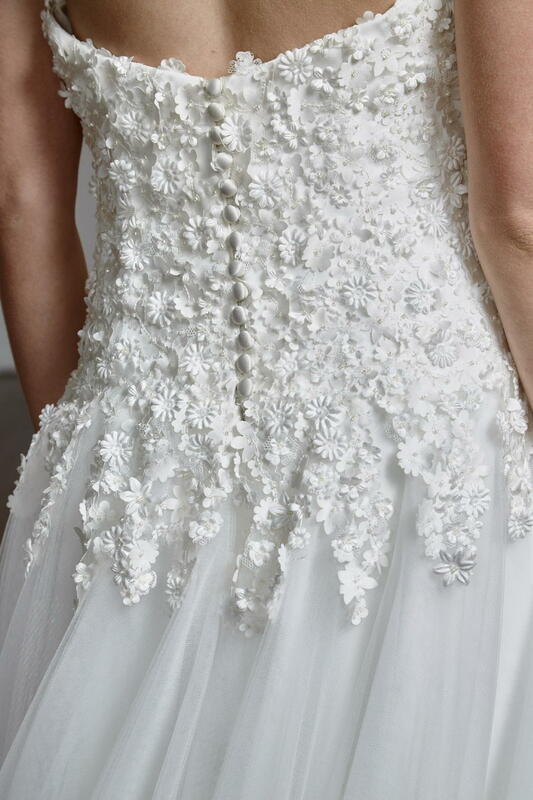 The collection includes Art Deco glamour seen in hand-beaded Zelda; beach side nuptials captured in Wild Daisy with layers of tulle and cascades of tiny flowers and the romance of vintage- style, illusion necklines in Blythe and Luce Del Sole. The latest exquisite lace bridal gown design collection will also be available, including the elegant, Summer bridal gown and the boho-music-inspired Melody. To celebrate “Designer Day” Tanya Anic Bridal with Simple Elegance Boutique will offer you a special bridal gift when you place your order. Book your place now to secure your time for "Designer Day" in Newcastle and see your perfect wedding dress turn into reality. Gold is one of the most alluring hues in the palette this season, bringing a sun-kissed glow to the skin and hair. It also holds a special place in the history of fashion, often worn by royalty, this shade and all things gold radiates a bold –luxe statement. Featured in the latest issue of Bride to Be, this Tanya Anic Daisy design is all about fun. Reflecting the warmth of the sun in this champagne silk, sheer sleeve, illusion neckline and embellished with applique of scattered little daisies. Whether it is for the country retreat or beach side wedding this feminine design certainly makes a statement. Selected designs available from Samantha Wynne Bridal Boutique, Perth, Western Australia, include Delphina, Lyric and Melody.